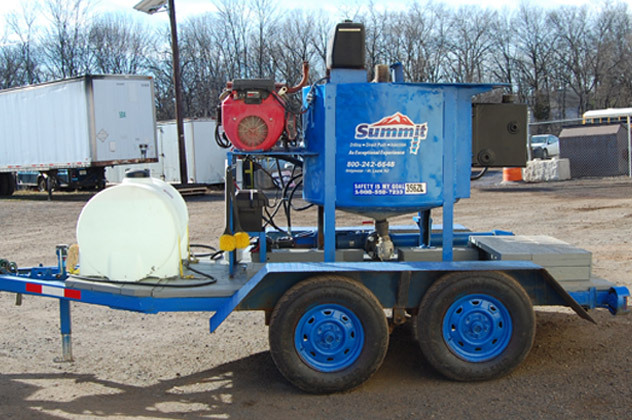 Supporting Summit’s primary list of services is a host of others including: packer testing, vacuum excavation, test pits and FLUTe liner installation. Packer Testing: Assessing the vertical extent of groundwater contamination is accomplished by using cost-effective straddle packer techniques. The straddle assembly allows further cost reductions by permitting sampling from multiple horizons within a single well. 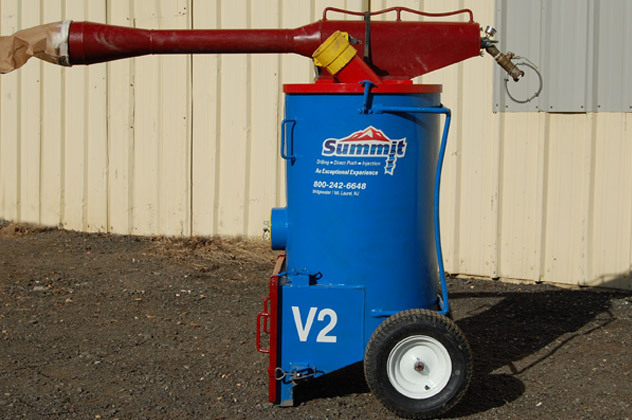 Summit provides a full range of packers from NQ through 8″ diameter boreholes. Vacuum Excavation/Air Knifing: This technique is typically used to pre-clear a borehole in an effort to expose buried utilities. 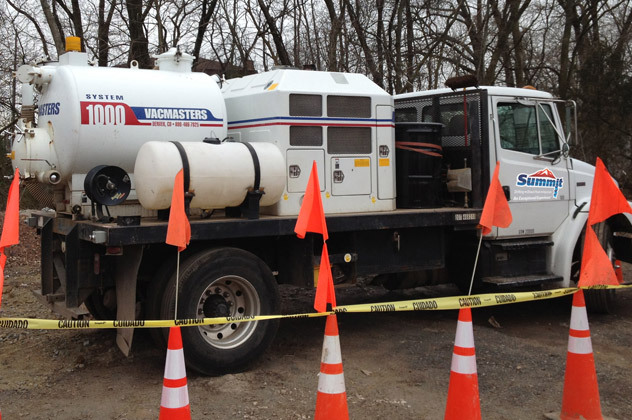 Vacuum excavation/air knifing utilizes a high pressure air to penetrate, expand and break-up soil. Loose soil and rocks are then vacuumed directly into a drum. Upon completion of the borehole, the contents which were removed are then deposited back in the boring. When utilized properly the method is a safe, non destructive means of excavation. Test Pits: Different projects call for different approaches to obtaining soil samples. In some circumstances, a test pit is utilized to either get a better depiction of subsurface geology, a larger sample size, or an idea of potential development considerations. In these cases, Summit has the equipment and experience to successfully obtain such samples. FLUTe Liner Installation: Summit’s crews have been trained and have performed many of the applications associated with flexible liner underground technologies. FLUTe liners are an easy way to identify the location of a contaminant in an existing boring. For more information on the practical uses of FLUTe lines, please go to www.flut.com.